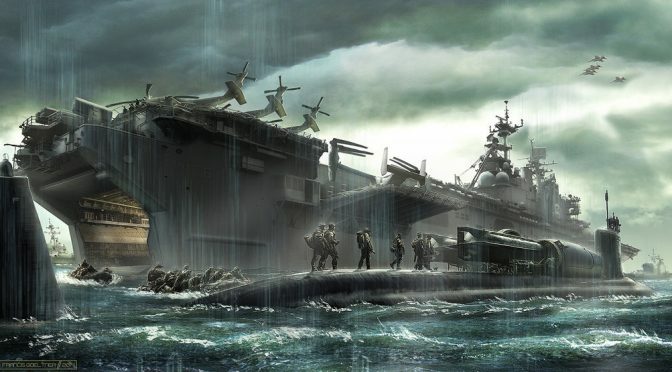 I had the pleasure of speaking with author David Poyer, former naval officer and author of the Tales of the Modern Navy and War with China series of novels, and other exciting naval fiction titles. We discussed his newly released book in the War with China series, Deep War, how the trends of war are reflected in his writing, and how the main characters of a long series are taking on new roles. MD: A major feature of your work is the escalatory nature of war. You seem to be making the point that, given the escalatory nature of a war between nuclear powers, the use of nuclear weapons is likely or inevitable. Do you think the taboos regarding nuclear use are enough to maintain a conventional war between nuclear powers? DP: Well, as one of my characters says, there is no historical precedent for war between two nuclear-armed powers. My own analogy is a knife fight in an alley, where both antagonists, in addition to knives, are carrying concealed firearms. Is the combatant who’s about to lose his life going to forego pulling his gun? I doubt it. Limits have a way of getting transgressed in war. Unrestricted submarine warfare, use of gas, shelling and bombing cities . . . none of these red lines held when a regime felt its existence was at stake, and most were not merely “taboos,” but had been duly codified in international law signed by the warring parties. So to answer your question, yes. As I have assumed in these novels, the danger of escalation is extreme. MD: Tales of the Modern Navy was, until these chapters, slightly retrospective. They normally looked backward 5-10 years. However, starting with Tipping Point, we’ve moved into the future. What did you have to change about your writing process and style when you moved into the future? How did you prepare? DP: That’s a perceptive question that goes back to the roots of my writing career. My very first published stories were science fiction, and so were several of my early novels: Stepfather Bank, White Continent, The Siloh Project, and others. So incorporating and extending technology into story hasn’t been a stretch for me. The shift from mildly retrospective to near-future was crucial because although Dan’s several missions for the Tactical Analysis Group, for example, (Korea Strait, The Weapon, The Crisis, The Towers) were classified, and thus could be accepted by an informed audience as having happened even though they hadn’t heard about them on the evening news, we couldn’t slide a whole world war past them that they knew had NOT happened! The shift to a near future was the answer. And no special preparation was necessary; simply extending current political and technological trends a few years adds, I hope, enough credibility to make the story work. We’ll see in ten years how close I came – and of course, I’m hoping the dire events described in these volumes never happen! MD: Technological development in Deep War is picking up speed. 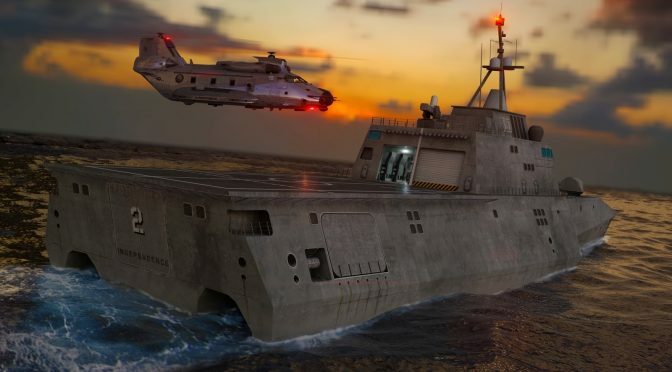 Lenson’s reality is now populated with Zumwalt-class follow-ons, directed energy weapons, increasingly sophisticated UAVs, successive blocks of F-35, integrated digital optics, and AI. Similar to Ghost Fleet, this cocktail produces a brutal combat environment in which few humans can survive. Do you have any thoughts on the future of warfare with all of these digitally enabled and augmented technologies? Are we coming around a corner similar to the First World War, when the technical capacity for killing exceeds our ability to innovate in a way that prevents attrition from becoming the decisive force in war? DP: “Picking up speed” – sure, and I note in these novels that war is always a forced draft for technology. Still, though, that technology often fails you, especially in combat conditions, and I highlight that possibility in Hector Ramos’s experiences on Itbayat and Taiwan, as well as occasionally with the other characters. As for the technical capacity for killing exceeding the capacity to innovate in a way that bypasses attrition . . . I must disagree. Attrition was the decisive force in World War One. It was decisive in WWII as well. But innovation on one side, along with good strategy, can drive attrition rates on the other side. That is how they are related, I believe. As to the future of warfare with these augmented technologies, these six books . . . The Cruiser, Tipping Point, Onslaught, Hunter Killer, Deep War, and next year’s Overthrow . . . address and describe the way I think warfare may evolve. MD: I think I caught a little bit of Fahrenbach’s This Kind of War in Hector’s experience on Taiwan. Is that accurate, and are there any other books that inspired you in this work? DP: Haven’t read Fahrenbach but thanks for the suggestion! Several pages of research articles, monographs, and a few books are listed in my acknowledgements at the back of each novel, along with shout-outs to those folks who advised me and read portions of the text to make sure I didn’t go completely off the rails. Many, many active duty and recently retired subject matter experts backstopped me and provided useful suggestions. I owe them a lot. Still, any errors and omissions are my responsibility. MD: Deep War largely surpassed Daniel Lenson, who winds up being mostly an observer compared with Oberg, Staurulakis, and Hector. Have you considered writing works with any of them as the central figure? DP: These novels are braided narratives, with different characters providing different views of the action. I call the story arcs of each protagonist a “strake,” in an analogy to ship design, with Dan serving as the keel. If you welded together the strakes for each character from succeeding books, you would have more or less the work you describe. I employed different points of view for the same reason Tolstoy did it in War and Peace: a war is too geographically and emotionally sprawling an event to recount from one point of view. A final reason for multiple characters was that Dan is getting pretty damn senior by now. We began the series with him as an ensign in The Circle. Now he’s a one-star, at least for the duration. But what that means is that as he ascends the ladder, it becomes more and more difficult to believably involve him in close-up dramatic situations. Most admirals I know would agree that their official duties are pretty unexciting from an action-adventure standpoint. Thus, artistically, we had to transition Dan from an action hero to something more like a big-picture boss who functions less to take on bad guys hand-to-hand, as he did in earlier books, and more like the wartime leader who has to inspire, manage, and adapt fleet tactics to new threats and ways of fighting. That doesn’t mean the decisions he will make won’t be hugely significant and maximally stressful! He also shares with Blair Titus the coverage of overall strategy, although as a (increasingly reluctant) member of the administration she operates at an even higher level than he does. MD: The title Deep War seems to be a homage to the Russo-Soviet pre-World War II concept of Deep Battle, a concept of operational warfare emphasizing penetration of enemy strategic depth. Was this intentional, and if so, who is waging the Deep War? DP: Not really! Actually it’s a homage to Ilya Ehrenburg’s poem “The War,” where he wrote: “We speak of deep night, deep autumn; when I think back to the year 1943 I feel like saying “deep war.”” So it’s a literary reference that can be taken other ways as well. That I think is the best way to craft a title, with resonance that beckons the reader in, then reveals multiple meanings and associations as the book progresses. MD: One theme that seemed to run through Deep War was the juxtaposition between Thucydides Whale and Elephant. By the time of your story, the United States has effectively denuded Chinese naval power, but can’t reach the land power’s center of gravity. Likewise, China, despite efforts through cyberspace, can’t reach the distant American center of gravity by conventional means. China has spent a lot of money and time trying to turn itself into a maritime power. Has it succeeded? Or will a Thucydides-type dynamic continue to hold true into the future? DP: There are more elements to sustaining naval power than ships, or even a balanced fleet. Allies, technological depth, economic staying power, training, tactics, national determination, leadership, and geography are others. Right now we’re neglecting and even estranging our allies, but that can’t continue with any good end result for us. So, I assume in my writing that any fissures have largely been healed (though some allies are more allied than others). China’s increasing overreach and bullying of smaller nations will also contribute to a rebalancing of alliances. But to return to your first question: the dire and unprecedented problem of how a war between two nuclear powers can be terminated resonates through the book. This is the crux of the dilemmas faced by Blair Titus, Dr. Szerenci, and Jay Yangerhans, and even certain elements within the Chinese leadership. They are searching more and more desperately as the conflict deepens and casualties mount for a way not necessarily to “win,” but to reach at least an armistice before escalation leads to mutual destruction. This is the real tension of the last two volumes of the War with China series, as I believe it’s the most likely way things would play out in the real world. MD: Any final thoughts to share? DP: In closing, I want to thank the many fans who’ve stuck with me through this series. I know it’s been frustrating at times to have to wait for the next volume in order to find out what happens to Teddy, Dan, Blair, Hector, Cheryl, and our other friends. Dark fates await some of them. Brighter days beckon for others. I too am just as impatient to find out how it all ends. Stay with me, as you so resolutely have so far, and we’ll all discover what lies at the end of their turbulent voyages! 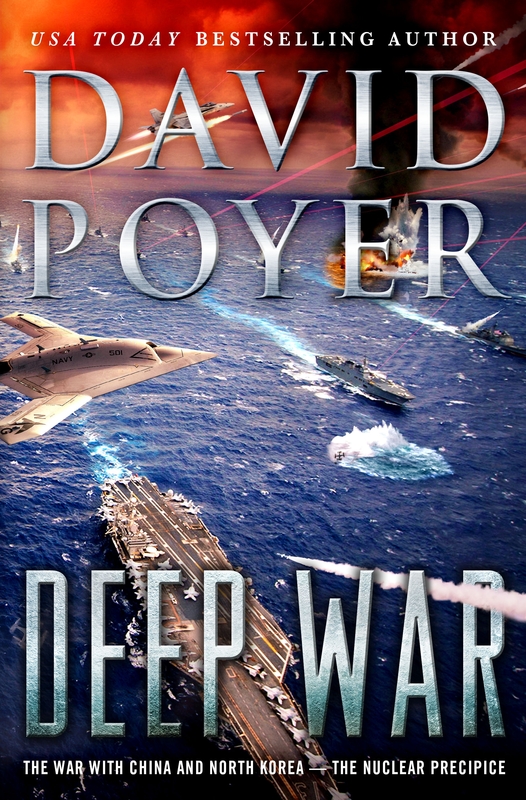 David Poyer is the most popular living author of American naval fiction. His military career included service in the Atlantic, Mediterranean, Arctic, Caribbean, the Middle East, the Pacific, and the Pentagon. His epic novel-cycle of the modern military includes The Med, The Gulf, The Circle, The Passage, Tomahawk, China Sea, Black Storm, The Command, The Threat, Korea Strait, The Weapon, The Crisis, The Towers, The Cruiser, Tipping Point, Onslaught , and Hunter Killer (all available from St. Martin’s Press in hardcover, paper and ebook formats). Deep War, the latest in his War with China series, recently published on December 8. Visit him at www.poyer.com or on Facebook. Featured Image: Littoral Combat Ship by Matt Bell. In response to our Call for Articles, talented writers explored various national security themes through fiction. 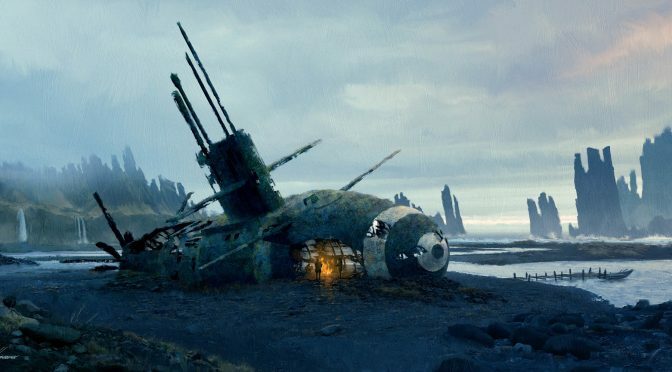 From future undersea warfare to unmanned tactical scenarios, authors envisioned the complexity and confusion of future conflict with incredible imagination. Read on below to see the stories featured. We thank the authors for their writing. First Lieutenant Gabrielle Cruz (USMC) is an unexceptional student. Unexceptional, however, is contextual. She is fluent in two languages, graduated with honors from LSU, earned a degree in petroleum engineering, and volunteered for military service during wartime. She is unexceptional because as I look around the squadron’s ready room much the same could be said about every other flight student. During the brief, she listened attentively and asked the same questions that I’ve fielded from previous students. In turn, she correctly answers my questions. It’s a good start to the flight. She is an attractive woman. Dark-skinned. Dark-haired. Closer in age to my daughter than she is to me. Usually the briefing space smells like fear-tinged sweat and dry erase markers, but with female students, it smells of soap and shampoo. It is a distinctly different military than the one I joined fifteen years ago. Once, while I was with my wife, I saw her in the Cordova Mall enjoying a brief respite from training. As we passed, she said hello. With her hair down, made-up face, and civilian clothes, I didn’t recognize her. The Marines do a remarkable job of standardizing their officers. They will make you a man even if you are a woman, and the process was only half-finished with First Lieutenant Cruz. An aura of femininity stubbornly clung to her. I would have hoped that an attractive young woman approaching me in the mall would arouse some reaction from my wife. “She’s pretty,” said my wife. “I hadn’t noticed.” I said. “You’re an idiot,” said my wife. I was lying. There in the mall, I couldn’t help but notice her on her terms. She is sleek and menacing and confident. A backwards glance over her shoulder would stop a younger man’s heart mid-beat or make an older man, such as myself, tighten his stomach just a bit. “Let it out,” says my wife. Seven hundred feet above Spencer field, she is neither sleek nor menacing, but just as fatal to me. Underneath a white helmet, visor down, she looks like a ferocious pixie bobble-head. All I can see of her face is a light dusting of freckles on her cheeks and a glistening bead of sweat hanging from the tip of her nose. She is my On-wing, which means that I am responsible for teaching her the basics of helicopter flight. This is her last flight with me before her performance and, by insinuation, my own, will be evaluated by another instructor before she can solo the aircraft. For the past two weeks, I have taught her the fundamental attributes of a competent pilot: Situational awareness, knowing what is going on around the aircraft, and basic airmanship, the ability to make the aircraft perform as desired. She flies well, but not perfect. Perfection is the province of God and by definition unattainable. The best any pilot can do is to exist in a constant state of correction. The flight is nearly over and I can tell from her relaxed posture that she knows she has passed. As far as she is concerned, all she needs to do is fly straight-and-level back to Whiting field. I almost feel bad about what I am going to do. In about fifteen seconds, the time it takes to hit the ground from 700 feet, we are both going to find out how good of an instructor I am. She squeezes the radio trigger to announce her intention to depart Spencer and return to Whiting Field. Before she gets the chance to finish the radio call, at the maximum point of distraction, when she must talk, fly, and think, at the same time, I roll the engine to idle to simulate a failure. The engine fades to a dull pointless drone. Gauges droop to their resting state. Rotor speed decays. The worst possible outcome is that she exceeds my ability to correct her and we hit the ground with sufficient vertical velocity to bend metal and shatter bone. It is the wrong time and place for doubt. We fall out of the sky at over two thousand feet per minute and her initial response is to maintain the correct attitude. In aviation, attitude refers to the orientation of the aircraft to the ground. In life, attitude refers to the orientation of the person to the problem. At this moment, she needs both. She lowers the collective to maintain rotor speed and pushes the nose over to maintain airspeed. The cyclic slams against my right leg, and the aircraft rolls to a 45 degree angle of bank. It isn’t enough to reach the field, so she increases the roll to 60 degrees, the limits of the aircraft. From my vantage point, it is as if Spencer field is rotating around us. Dusty, mid-summer grass fills the windscreen as we fall. First Lieutenant Cruz is in a furious state of constant correction. She is observing her environment, making prioritized value decisions, and acting upon them as if her life depended upon it. It does. Over the intercom she repeats, “Attitude, N, R, Ball,” the mantra that describes the path her eyes take as she scans the instruments and outside world. At 100 feet, I have an important decision to make. Should I let her continue and commit to the outcome, or take the controls? Much beyond this point, the likelihood of me salvaging a bad maneuver diminishes towards zero. She is flying the aircraft and I am watching her flying the aircraft. By definition, my reaction is behind hers. My only advantage is experience. At 75 feet, she flares the aircraft, pulling the nose up, pitching to the sky. The ground blossoms beneath us. Airspeed bleeds towards zero and rotor speed builds under the influence of inflowing air. The aircraft drops and my hands rest lightly on the controls. At 5 feet, she pulls sharply on the collective to reverse the flow of air and cushion the landing. Rotor speed droops to 85 percent, the bare minimum to sustain flight. She adjusts the pedals to align the aircraft with the direction of travel and levels out. All at once, we have run out of altitude, airspeed, and options exactly as it is supposed to happen. The aircraft touches down with a slight bump and slides across the grass. I look over at her and she is grinning from ear-to-ear. I know exactly how she feels because fifteen years previously some forgotten flight instructor taught me the same maneuver. She knows she has done well and I want to share the moment with as much elation as is boiling inside her. Instead, I say, “Good job, but……..” and I launch into a critical review of her performance. Usually an On-wing and I will fly once or twice more before they get their wings, but I never flew with her again. About six months after we last flew, she knocked on my office door. Her face is a little leaner, her posture more square, some would say that there is a bit less of her and a little bit more Marine. “Congratulations.” In the back of mind, there was never really any doubt. “Cobras, that’s awesome.” All the Marines want Cobras. 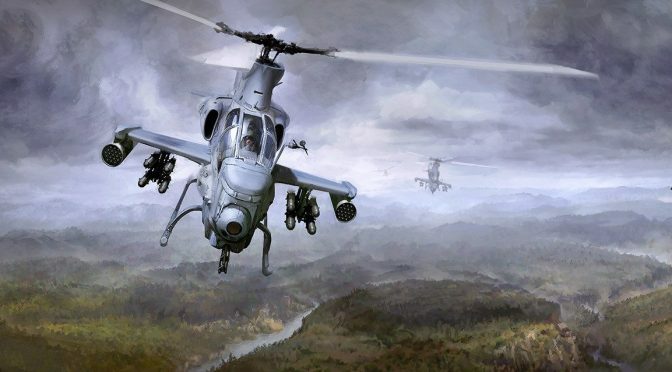 Bell helicopter, the manufacturer, says they made the Cobra beautiful because it is the last thing the bad guys will ever see. When she flies her Cobra over moonlit desert or triple-canopy jungle, she will be a predator. Cobras don’t rescue anybody. “I would be happy too,” I say. The soft patch is an informal ceremony the night before the official winging. Parents and friends gather and a student is called up with his or her instructor. The velcro leather name tag the student wore while in training, emblazoned with service insignia, is ripped off and a new leather name tag with Naval Aviator wings is “tacked-on,” with a punch. Funny or fast stories about the students are told and the instructor is given a bottle of their favorite liquor. “I am a little short of Grey Goose.” She smiles. During a lighter moment she had told me how she got sick on Grey Goose at a party. At the soft patch ceremony, I find her sitting at a table with her parents and grandparents. Her father is prior Army enlisted as was her grandfather. Her grandfather was at Hickam Army Air Force Base on December 7th 1941. I shake both their hands. I give her mother a small framed poem called: The Fighter Pilot’s Prayer. It reads: Dear Lord, Give me the eyes of an Eagle, the Heart of Lion, and the Courage of a U.S. Marine Corps Helicopter Pilot. It’s a small thing and I do it for all my soft-patchees. Her mother smiles and thanks me and I tell them what they already know: That their daughter did well. I excuse myself to grab a reinforcing beer. My stories are famous for being funny, but I’ve never really gotten comfortable telling them in front of 80 or 90 people. The beer helps. When it is our turn, we meet each other at the front of the room. She is nervous and excited. She hands me a bottle of Grey Goose and I set it aside. I tell a funny story. It is entertaining, embarrassing, and completely fictitious. I don’t owe anything to reality. She can’t do anything, but smile and take it like a Marine. Students attempting to defend themselves are booed down by the cadre of instructors lured in by free beer. The laughter ends and I find her new leather patch. Above her name are Naval Aviator wings embossed in gold. When soft-patching female students, most male instructors fumble around like they were trying to pin a corsage to the strapless gown of their prom date. I’ve learned that the direct approach is the best. I grab the corner of the worn leather patch over her left breast and tear it off. It makes a ripping sound as it pulls from her flight suit. I put it in my pocket. I keep the patches of every student that I soft patch. I smooth the new patch on and then I haul back and punch her right in the patch. Anything else would be disrespectful, a signal that she was other than what she was, a colleague, and Marine Corp Naval Aviator. When I was winged, metal wings with two pins were placed on the uniform and then punched on without the little frogs to cover up the points. The idea was to draw blood and “tack-on” the wings so they would never fall off. The more blood the better. Over time the tradition broke under more political sensibilities, but the spirit remains. She winces. I check her parents and they are beaming with pride and seem not to have noticed that what I had just done to their daughter could in some circumstances be considered an assault. They are a military family and they understand what just happened and why it had to be that way. I’m a bit relieved. At the end, the ceremony devolves into small gatherings and her father works his way through the crowd towards me and I wonder if maybe he has changed his mind about the whole punching his daughter thing. “Thank you for taking care of my daughter,” he says. “She took care of herself,” I say. “We know. We know,” he says, and he fades back to his family. “No, her and the FRS instructor were killed.” The FRS is the Fleet Replacement Squadron that transitions newly winged aviators to their fleet aircraft. “Bird strike took out the tail rotor on a goggle flight.” Contrary to popular belief, birds do fly at night and with the reduced field of vision that comes with flying on night vision goggles there was no realistic chance of avoiding a collision. Really, I could have gone the rest of my life not knowing, but in the long run there is no way to not know. Mishaps are ruthlessly examined and disseminated. Talking about the dead is a requirement of the job. Sooner or later, I would have found out. At home, I open the bottle of Grey Goose hiding in the back of the freezer. The vodka has a sluggish oily look to it. I retreat to my study and the quiet of the house intensifies. I usually stay up late to sit and think when the kids have finally fallen to sleep. I sit in my chair and sip the freezing cold vodka and it is good. Ghosts recline in the chair opposite me. They are young and beautiful with pale eyes. John Brown killed in a T-34 Crash, Dave Pidgeon killed in an A-4, the guy I can only remember as Jasper, the two killed when their gyros failed on a dark night, many others, about twenty five in all, including a newly-promoted Captain Gabrielle Cruz. I wonder what bizarre combination of skill, luck, and grace conspired to let me survive a career that took so many away. Some lie buried beneath white crosses and manicured lawns, some in shaded family plots, some lost forever to the sea. Some sit across from me. I know exactly what went on in her cockpit. First, there is the sudden unexplained thump, a high frequency vibration in the pedals, and then the nose breaks free, spinning rapidly to the right. She pushes full left pedal to stop the yaw and it is useless. Her heart keeps rapid time and she is flushed with adrenaline heat. Maybe she does everything right. Maybe she doesn’t. Near the final moment, she realizes that whatever she is doing is not enough and she hopes that she is merely a witness to the experience rather than a participant. She falls into the dark, illuminated by urgent lights, and then it is over as if she never was. “Who are you talking too?” asks my daughter. “Maybe you will,” I say. Please God, I hope not, I add in silence. There is only so much luck and skill and grace in the world to go around and I have used far more than I had any right to and someone had to be shorted. With an overly generous measure of Grey Goose warming me, I know it to be true. As naval aviators, all of us will fly, some of us will fight, and few of us will die, and it seems that there is nothing more of it. I finish the Grey Goose. If I turn my head just so, I can see a ghost sitting at the edge of vision. I think ghosts are mirrors, reflecting only what is in front of them. This one is the pale color of grief. I turn my head a bit more and the ghost is gone. Mike Barretta is a retired naval aviator who works for a major defense contractor. He holds a Masters degree from the Naval Postgraduate School in Strategic Planning and International Negotiations and a Masters degree in English (creative writing) from the University of West Florida. His stories have appeared in Apex, Redstone, New Scientist, Orson Scott Card’s Intergalactic Medicine Show, and various anthologies including the Young Explorer’s Adventure Guide, War Stories, and The Year’s Best Military Sci-fi and Space Opera.